A West Canefield, East Canje man was discovered hanging dead on his verandah early Monday morning. 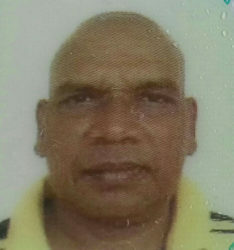 The man has been identified as Khemraj Ramroop Atomdeo, 53, of Lot 45 West Canefield. The dead man’s brother Kamaladeo Atomdeo related to Stabroek News that he last saw his sibling intoxicated and heading to his room the night before. He related that his brother returned to Guyana about a year ago leaving his only child abroad. If you, or any one you know is experiencing suicidal thoughts, you can contact the suicide helpline to receive assistance.